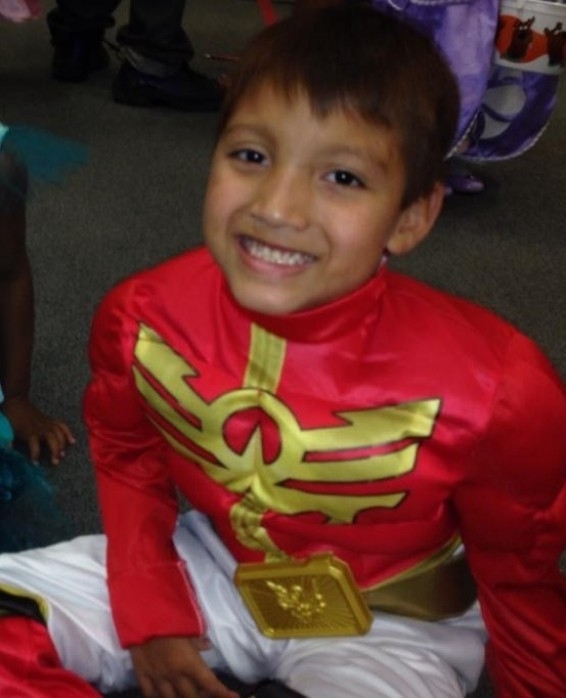 At age 3, Jayden was beaten so severely by his biological parents that he had to be air lifted to the nearest Children’s Trauma Center. He sustained a Cervical Spinal Cord Injury, (C1-C2) Neurogenic Shock, and Traumatic Brain Injury. When he was fighting for his life in the hospital, further investigation revealed several old rib, spine, and shoulder injuries that went untreated. Some of these injuries date back to as early as 18 months old. While most toddlers grow up in a stable and loving environment, Jayden had been suffering in an abusive home since he was born. For the next year he healed. First in the hospital, to treat his physical injuries. 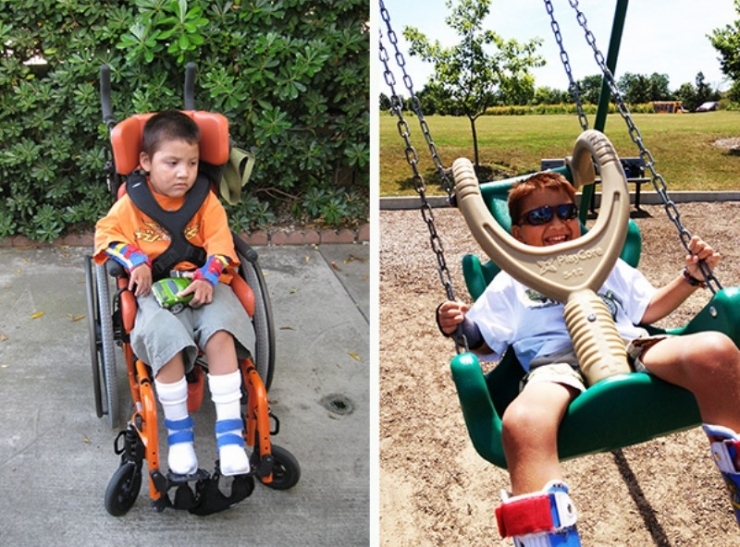 Then, in a home for severely disabled children, to treat his emotional injuries. He struggled with symptoms of PTSD, emotional delays, and extremely low self-confidence. It was there that Jayden realized he had a choice: he could surrender, or he could fight. Years before, a blond-haired green-eyed baby in an orphanage was facing the same choice. His name was Randy, and he had been severely neglected. He was diagnosed with 1p36 Deletion Syndrome, a rare genetic syndrome that results in global developmental delays and medical complications. What he had stacked against him, as a young boy, seemed overwhelming. He didn’t have to fight. He didn’t have to do more than just survive. But he did. And that’s what led Randy and Jayden to find the family they were searching for all along. Randy’s fate took a turn for the better when Sheila came into his life. 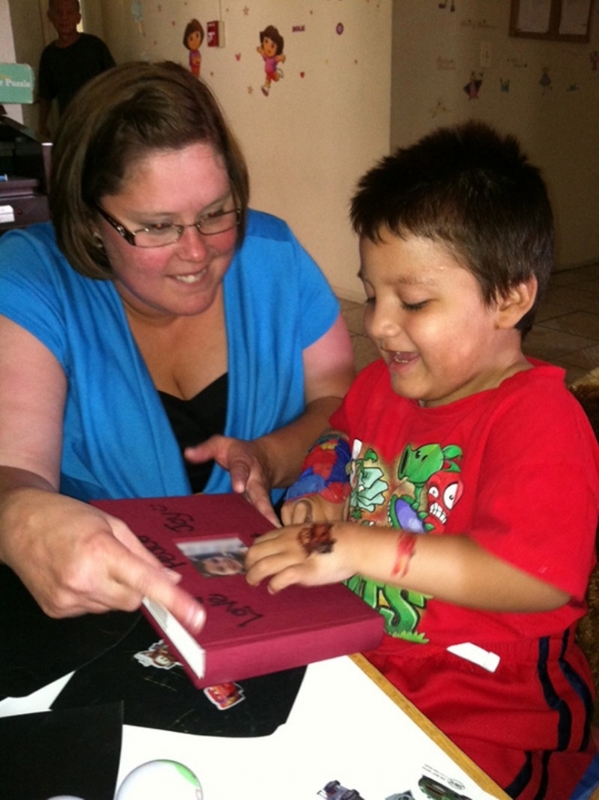 After finalizing his adoption, they moved forward with a foundation of love and support. 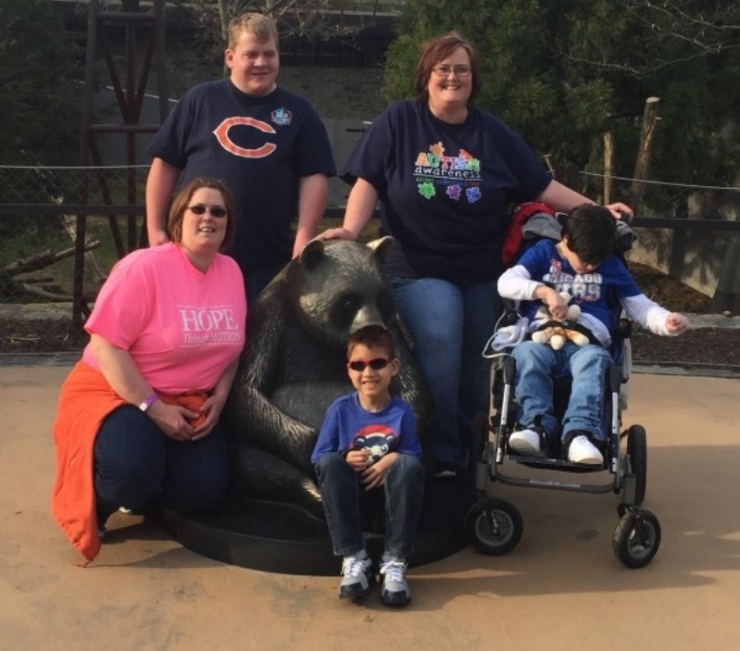 Sheila, along with her sister Shellie, had grown up in a family with many adopted siblings who had disabilities and knew the joy that could come with adoption. 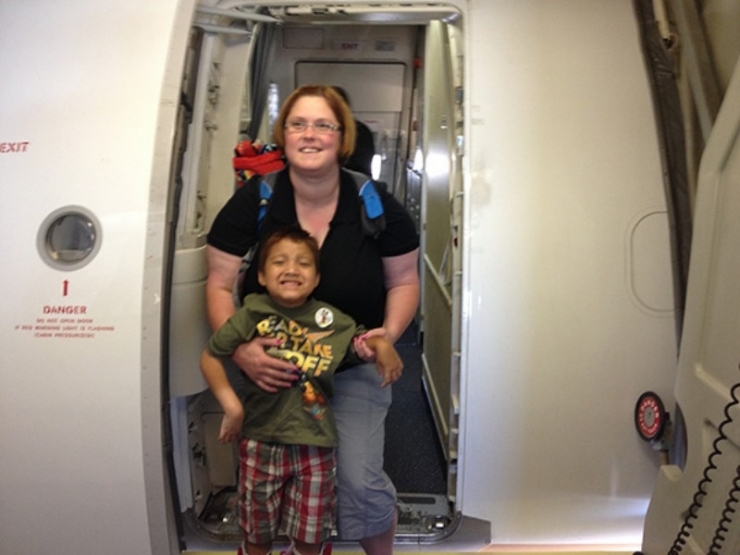 So, when Shellie received a phone call in the fall of 2012 about a young boy looking for a family… she jumped on a plane. Shellie met Jayden, and the next chapter of his life began. Immediately, they forged a bond so powerful they knew both of their lives had just changed forever. 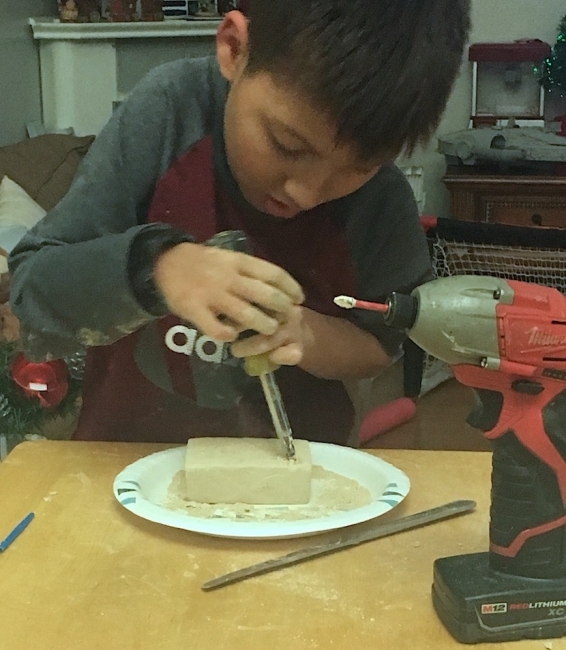 One day as Shellie was playing with Jayden he said something that had an impact on her – “Friends don’t leave friends behind.” She started the adoption process, and now Jayden has been in his new home, with his true family, for over 2 years. 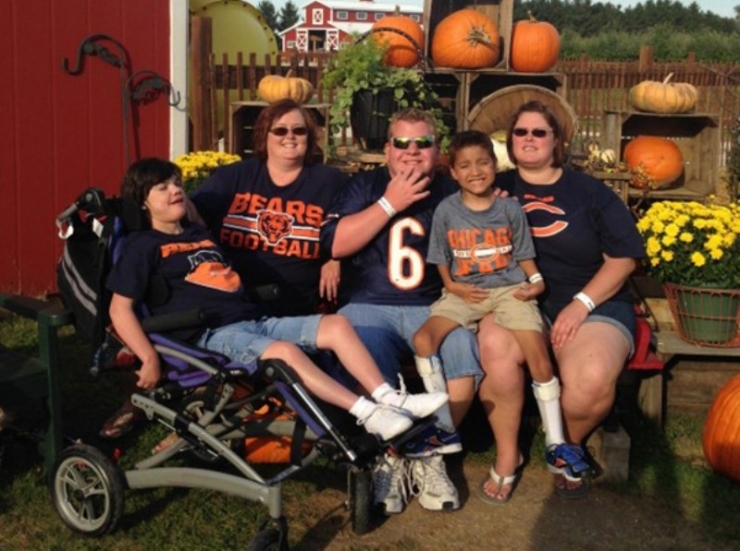 This family is no different from theCHIVE family – we fight for the underdog. theCHIVE is more than a website. It’s a movement to make this world a better place. A mission to look at what is and say “That could be better…” theCHIVE means more laughs, more friends, more beer, more RAKs, and as a community of misfits, there is no one who isn’t welcome to become a part of it. Jayden is right, friends don’t leave friends behind. 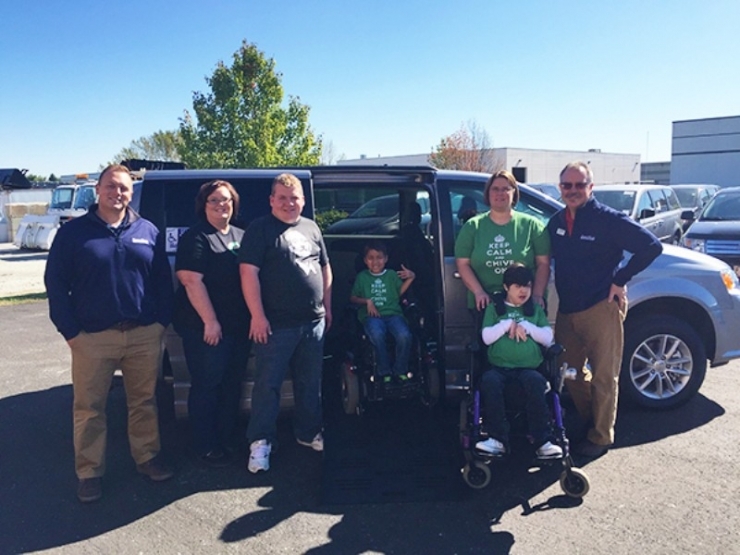 So Chive Charities made sure Jayden and Randy didn’t get left behind with a $53,000 grant for an ADA accessible van. Here’s Randy (center) and Jayden each with their adoptive mothers, Sheila and Shellie. On the left is the girls’ adopted sister Gayle, who was diagnosed with Cerebral Palsy and Epilepsy at birth. This was the moment that Shellie and Jayden met. Their lives would never be the same. Shellie and her boy flying home! Jayden was already calling her “Mom.” There are certain things in life you just know… and Jayden recognizing Shellie as his real mom was one of them. 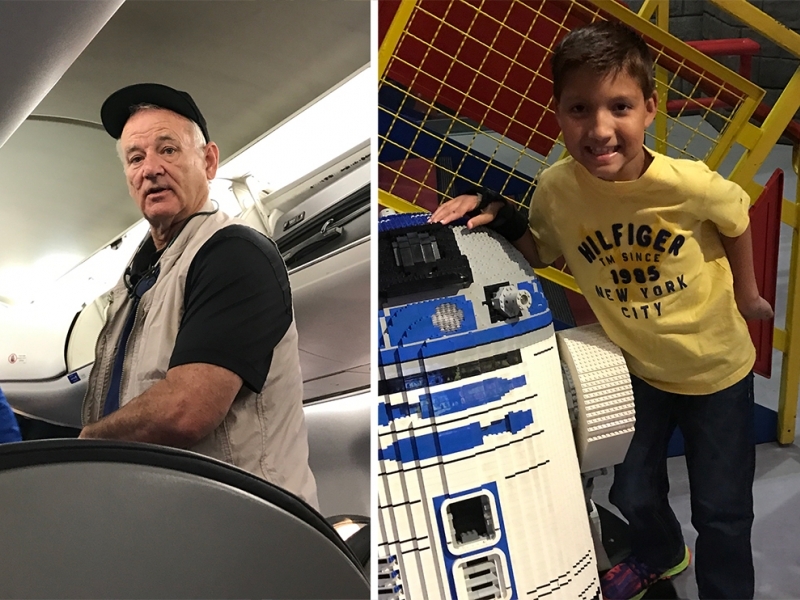 In just months, Jayden transformed from a little boy struggling with emotional and confidence issues to a thriving, adventurous kid. Randy has been thriving as much as his younger cousin after finding his forever home. 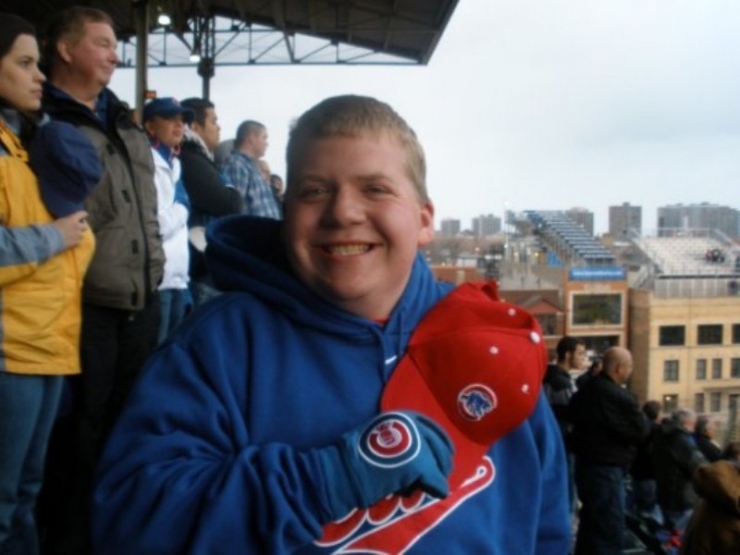 Under the care of his mom Sheila, Randy has secured a part-time job as a greeter, spends time every week volunteering at Seniors Centers and an animal shelter. Oh, and he’s also participating with the Special Olympics. Getting three people who are dependent on you into one non-ADA van was stressful, tense, and tight. It required a lot of work on Sheila and Shellie’s parts, and a lot of patience for Gayle, Randy, and Jayden. But, they didn’t have any other choice. If any of the kids had a doctor’s appointment, this was the only way to go. 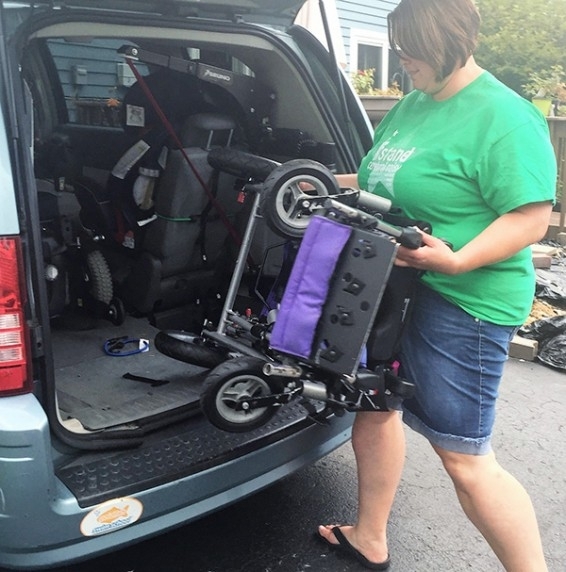 If they wanted to take a day trip or have a family adventure, the process to get everyone safely in and the wheelchairs in the back like “tetris,” they were automatically delayed at least a half hour. The family that these 5 have created is not what you would call “traditional.” Our community knows a thing or two about that. But they have proven that traditional is not synonymous with “successful,” and when we see three children who have received unconditional love, support, and encouragement – that’s a successful family in our book. For the two sisters who are busy always helping others, and the three kids who put others’ needs before their own… they’re long overdue for a little assistance. 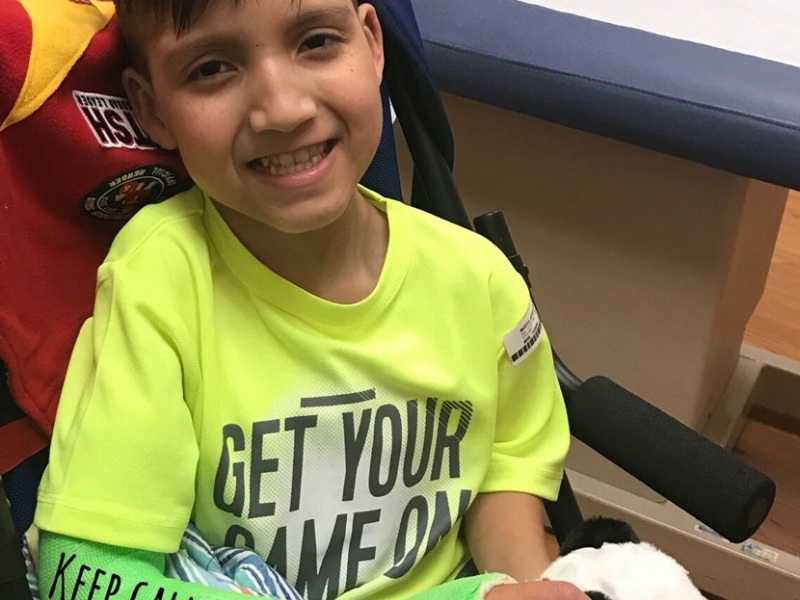 Chive Charities came through with a $53,000 grant that can safely accommodate everyone so the family can continue to live life to the fullest – together. So when Shellie adopted her new son and he got to choose a new name, a fresh start, he chose Jayden. He wanted to name himself after his personal hero, because he wanted to be strong like him. But looking back at the herculean strength it took young Jayden to get where he is… we know it was the other way around. 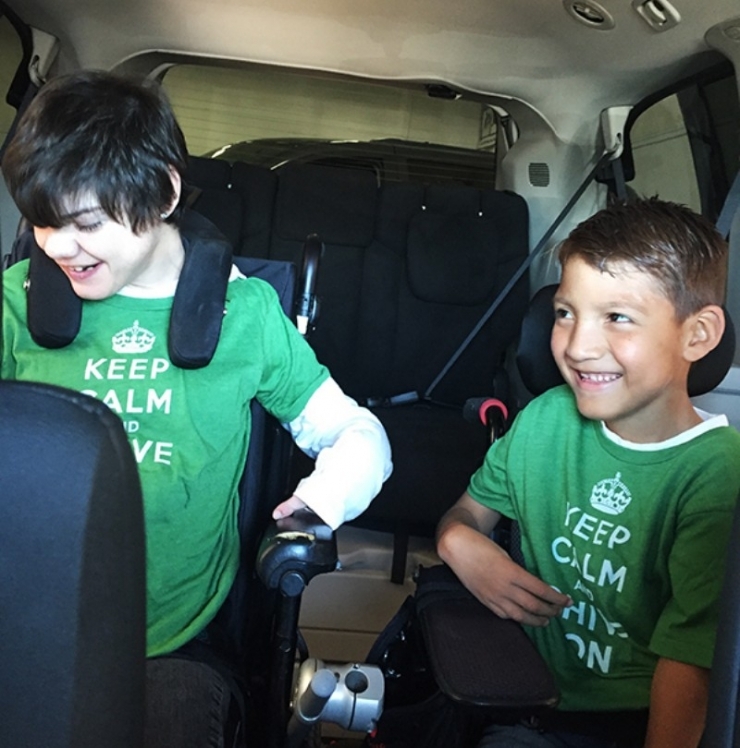 Become a Chive Charities Member and change lives like Jayden’s HERE.